The function of calcium carbonate, in general, is as a basic ingredient of calcium supplements for humans, for the treatment of treatment of patients with nutritional deficiency, as a drug for osteoporosis patients, as well as the treatment of hyperphosphatemia for patients with chronic renal failure and secondary hyperparathyroidism. 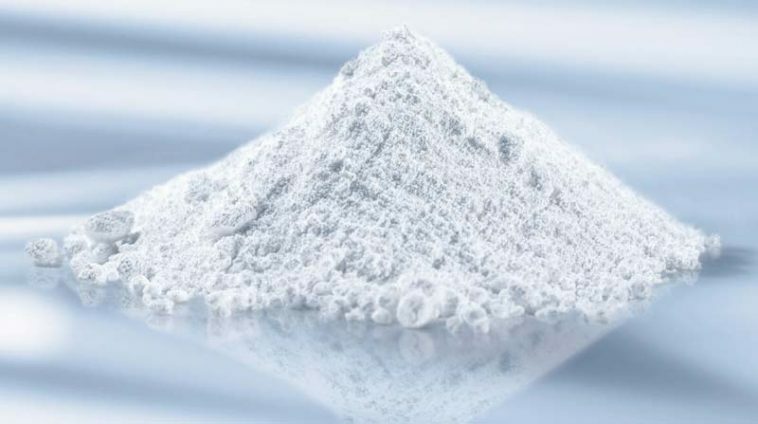 Calcium carbonate has the chemical formula CaCO 3, has a white base color and can usually be found easily in calcite, limestone, limestone and also marble. Calcium carbonate is also commonly found in stalagmites and stalactites that are usually located in high mountain areas. For calcium carbonate residing in stalagmites and stalactites, the origin of droplets of precipitated groundwater for a very long period of time, ie thousands to millions of years. Along with the development of the era, calcium carbonate has been widely used by industry players, one of which is to make toothpaste and drugs for stomach acid. Calcium carbonate does have benefits in helping tooth and bone growth so as not fast porous, this is because of the function of calcium carbonate as one of the main substances in the formation of bones and teeth. Someone is also advised to consume a calcium carbonate-containing supplement if they do not get enough calcium intake in their daily diet. Unfortunately, we often do not realize that we lack calcium carbonate and just realized it when it was too late. Calcium is needed by the body to build and keep the bones healthy and strong, calcium also plays a lot for the muscles, nervous system and the liver can still run perfectly without any problems. Calcium carbonate can also be used to cure heartburn or heartburn in the stomach and other stomach ailments. Do not ignore the function of calcium carbonate before it's too late. Once a person reaches the age of 35, the bones begin to lose their density, usually more quickly in mothers who are pregnant or newborn because some of their nutritional intakes will be given to the fetus they contain. It can also take place more quickly if you do not have enough calcium from your childhood or adolescence. Often, a person with osteoporosis (bone loss) is caused by persistent calcium deficiency, which eventually leads to porous (thin bones that can crack easily). Other factors that support the occurrence of osteoporosis smoking habits, unbalanced body hormones, unbalanced thyroid levels, lack of exercise, prolonged stress and so on.